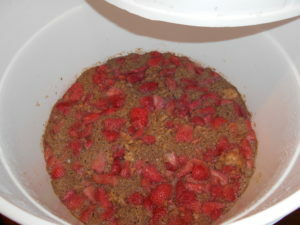 The best part about brewing your own mead is drinking it. But what better way to enjoy your special brew than by pairing it with a meal that compliments the unique flavors in your creation? 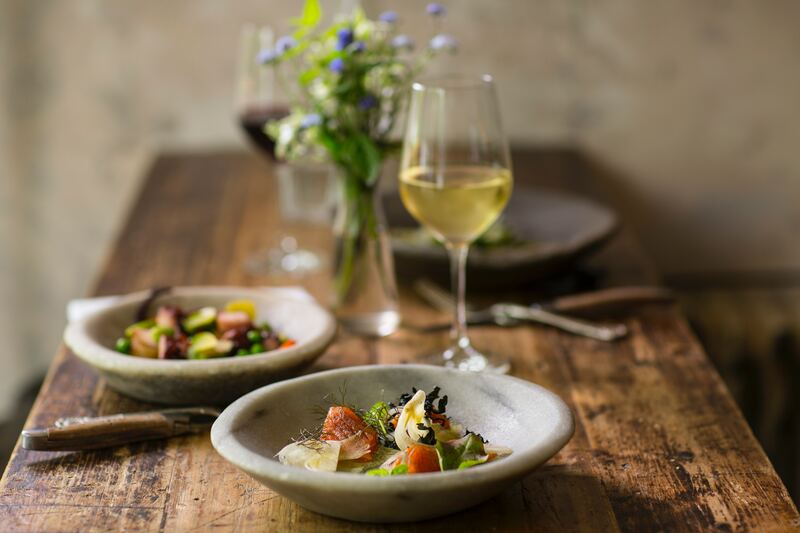 You hear tons about what wines pair with what types of food. Even beer has some available guidelines on which flavor profiles of food compliment the different styles. But given mead’s fairly recent resurgence into mainstream awareness, there really isn’t a lot of available information about what specific varieties of mead will complement different foods. While part of this is likely due to its relative “newness” in the brewing scene it can also be attributed to mead not having the most clear cut of styles. Most beer and wine types describe a specific flavor profile, while mead is more broadly defined by the types of ingredients used. Metheglins just describe a mead with spices or herbs in it. It doesn’t tell you much about what it will taste like. Spices and herbs cover a wide range of things from cinnamon to mint to rose petals. 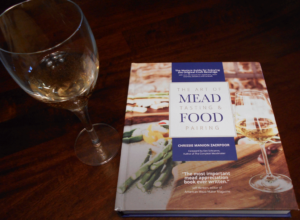 Chrissie Manion Zaerpoor has done a fantastic job of compiling quite the thorough reference guide on the very subject of pairing mead with your meals in The Art of Mead Tasting and Food Pairing. She has years of experience not only judging mead in competitions but making it herself, so is more than qualified for the in depth instructions she gives on how to properly taste a mead. Her guide also goes in depth on the different varieties of mead: from traditionals, to sparkling, or melomels to braggots. Outlining what the defining characteristics of each varietal is, and based on those unique traits how you would go about pairing them with food. She aims less to define a static list of pairings, but more to teach the reader the process of matching flavor profiles of mead with those in food. As Zaerpoor mentions in her book, the flavors that come out as you drink your mead will gradually change from sip to sip. This can occur due to oxidation after opening the bottle, as well as your taste buds noticing subtler flavors after they adapt to the more prominent ones. This evolution can become even more pronounced when pairing it with the foods you eat. There are two main paradigms involved with pairings: mirroring, and contrasting. Essentially the food can mimic and compliment the tastes that come across in your mead, or instead they can provide a stark difference to highlight them. This dance of intermingling styles is where the fun of pairing really shines through. She guides you through designing your pairings from both a perspective of the mead as your starting point, as well as from a food basis. This includes a breakdown of different regional cuisines, as well as information on balancing spiciness. It also contains a fair amount of advice on specific diets such as Paleo, gluten-free, dairy-free and vegetarian. The guide is chock full of other useful information such as how to keep mead after opening, the best ways to store or cellar your bottles, and plenty of history behind the drink and the evolution of the different styles.There are plenty of recipes included in the book as suggested meals with which to begin your pairing journey. But, again, these are presented as examples to spark your creativity rather than hard and fast required pairings. If you’re looking to experiment, and expand your culinary palate within the world of mead, do yourself a favor and check out The Art of Mead Tasting and Food Pairing.